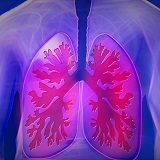 Following a primarily plant-based diet has been proven to reduce the risk of developing COPD. Just one extra serving of fruit each day can reduce your risk of dying from COPD by 24%! On the other hand, cured meat such as bacon, ham, sausage, etc., can increase the risk of developing COPD. Eat plenty of fruits and vegetables and stay away from cured meat.